At Cirencester Deer Park School we know that learning goes far beyond the classroom. As a consequence, our aim is to inspire our pupils in many different ways to unlock the true potential of their minds; to find out what their real passions are and to nurture within them a love of learning and thirst for knowledge that remains with them throughout their adult lives. With this goal in mind, our objective as a school is to create learning experiences for our pupils which are innovative, exciting and challenging and ensure that all pupils are engaged in inspiring education experiences that go beyond school, and which impart in them the realisation that they can accomplish extraordinary things. 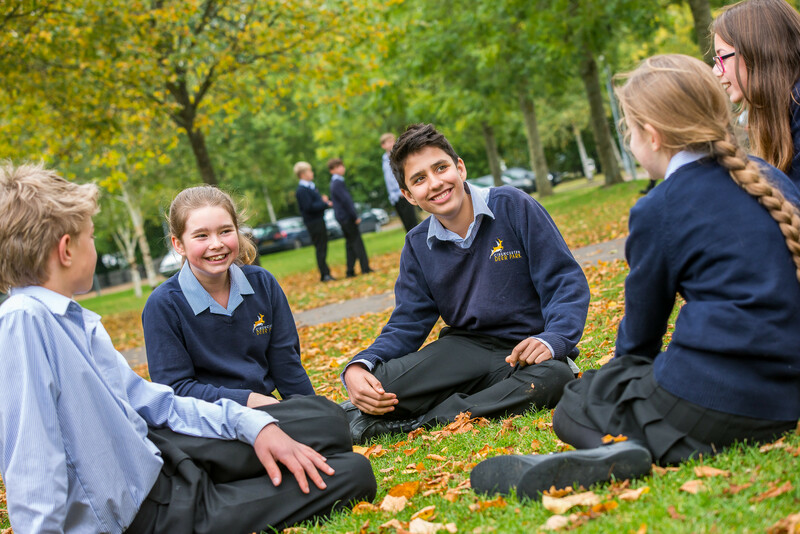 At Deer Park we place a strong emphasis upon developing pupils’ moral and social understanding too; their ability to relate to people in a positive way and to think through complex situations. We relentlessly pursue academic success for our pupils. In addition to this, we passionately value creative and sporting excellence alongside academic success. We believe we have created a learning environment in which our pupils are equipped with the tools to question the world around them and are able to tackle difficult challenges in a positive and diligent way. Above all, we aim to nurture pupils’ ability to operate independently in the world: pupils who can develop their own ideas, have initiative and drive and have a "can-do" growth mindset. Our learning and teaching approach is an ‘evidence based’ one – we expose pupils to learning and teaching strategies that are proven to work. We are a growth mindset school: above all, we praise pupils for their effort and affirm pupils who keep trying even though they may have failed on the first attempt. We recognise and believe that intelligence is not fixed and that if pupils keep trying then they will achieve. At Cirencester Deer Park School we recognise that learning is the most exciting journey there is. We are committed to imparting subject content in exciting and engaging ways, helping pupils to see that much knowledge has exciting opportunities and that much of it is relevant to them and their lives.